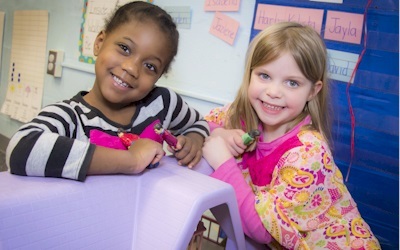 Children on the Green is a licensed, non-profit child care center committed to quality, developmentally appropriate care and early education for children of families living or working in the Morristown area. We seek to reflect the diversity of the community in which we are located and are committed to partnerships that support all children and families. Our mission supports the developmental needs of each child, and creates interdependent partnerships between home, work, community and the Center. On this joyous 20th anniversary occasion we're thrilled to have been publicly recognized by Congressman Frelinghuysen in the Congressional Record. As the first toddlers who walked through our doors graduate college and become happy, successful adults, we remain proud of our history and committed to the legacy of our founders. Our primary focus is on providing a safe environment that promotes in each child a sense of security, well-being and development of basic trust. Each child is assigned to a specific caregiver who is responsible for the care and needs within the context of the group. 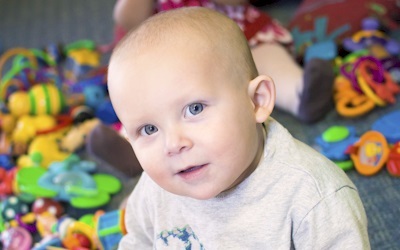 As toddlers enter the "ages and stages" within the rapid course of development in their first three years, our caregivers adapt the environment, materials and curriculum to continually meet their needs. Healthy doses of free play are intermixed with small group structured activities. In keeping with our educational philosophy, Children on the Green uses The Creative Curriculum by Diane Trister Dodge and Laura J. Colker as a framework when planning each day's activities. 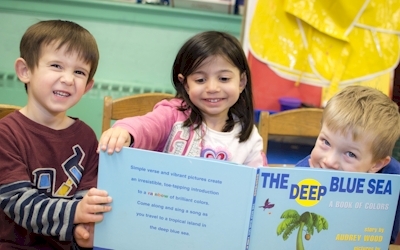 Using a thematic structure, the teachers plan developmentally appropriate materials and activities that develop each child's social, emotional, physical and cognitive growth. 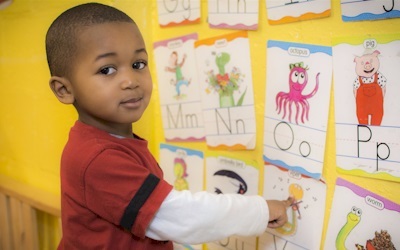 As children enter Preschool, our Tools of the Mind Curriculum helps develop academic skills in literacy, mathematics, and science. Days are filled with structured activities and free play that support social, emotional, and cognitive development to help them become enthusiastic learners. 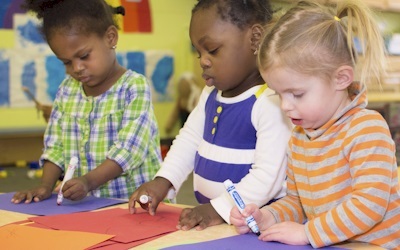 In Pre-K children build upon their Pre-School experiences and spend more time expressing themselves by writing words and sentences, telling stories and practicing beginning reading skills. Days are filled with structured activities and free play that support social, emotional, and cognitive development to help them become enthusiastic learners.